Jon West was the Managing Director of HRS, the global hotel solutions provider, in the UK and Ireland, until 2016. He is now Chief Commercial Officer, overseeing one of HRS’s strategic investments, at The Lido Group, Sydney, Australia. 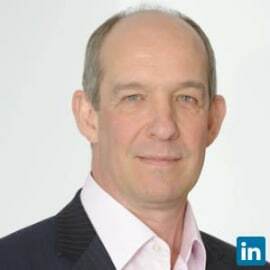 Jon is a driving force within HRS, Jon has been responsible for the transformation of the UK business into a thriving enterprise with a clear focus on corporate travel and building effective partnerships to create industry-leading solutions for travel buyers. Jon has written many whitepapers on behalf of HRS, such as Content is King, Lowering the BAR and Cost of Choice, focused on Hotel Content, Hotel Price and Hotel Distribution for the corporate travel programme. The Lido Group is an established hotel solutions provider in Australia, Jon’s role as CCO is to rapidly expand its Corporate and Government business over the next few years on the back of the Award winning Lido Chargeback solution, global hotel partnerships and distribution to the bookers’ hand. Jon West joined HRS in 2009 from IS Solutions, where he had been for 12 years. Jon was Marketing Director at IS Solutions and was responsible for launching the internet and analytics divisions, as well as bringing new strategic clients on board.